We have been extremely busy developing new analysis methods for efficient side-station inversion of the incoherent scatter measurements. Here is a preview of what we have accomplished so far. The follow plot combines lag-profile inversion results from 20 different beams simultaneously pointing at different altitudes along the EISCAT VHF beam. With this configuration, we can perform a bi-static measurement simultaneously along all the different altitudes. 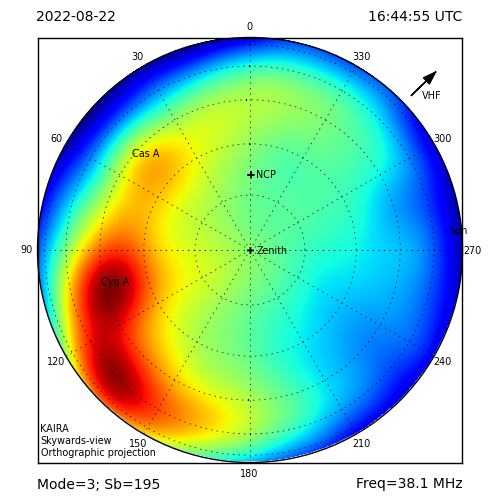 Measurements like this will be extremely useful in the future for determining e.g., ionospheric drift velocities. The plot shows standard E- and F-region incoherent scatter autocorrelation functions, along with what seems to be tropospheric propagation from the Tromsø antenna sidelobes. 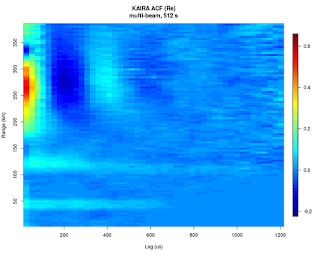 Averaged lag-profile matrix (incoherent scatter autocorrelation functions for different ranges) measured with KAIRA. 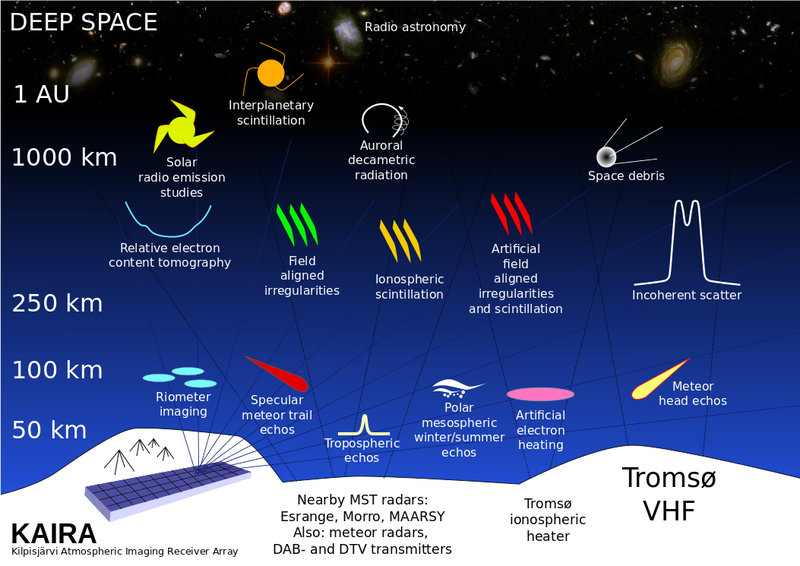 Ranges given as round-trip time, i.e., half of the time that light travels from VHF to KAIRA given in range, assuming speed of light in vacuum.